National qualifications frameworks (NQFs) make a difference to people's lives but more research is needed to measure their impact, according to some of the conclusions of the peer learning conference organised by Cedefop, the European Commission and Quality and Qualifications Ireland (QQI) in Thessaloniki on 9 and 10 November. Mr Calleja argued that qualifications frameworks play an important role in the modernisation of vocational education and training (VET) and increase its standing. But, he added, they still have a long way to go to fulfil their potential. However, employers and training institutions work better with NQFs because they speak the same language. European Commission’s Koen Nomden said that the concept of a peer learning conference was introduced for the first time. He also stated that 39 countries participate in the European Qualifications Framework (EQF), i.e. all 28 EU Member States and 11 non-EU countries. Cedefop expert Slava Pevec Grm presented the European experience based on the agency's evidence. She stressed that countries have followed the EQF's overarching character and moved towards comprehensive frameworks encompassing VET, higher education and general education. Working group sessions on the first day approached the conference theme from policy-maker and research perspectives. 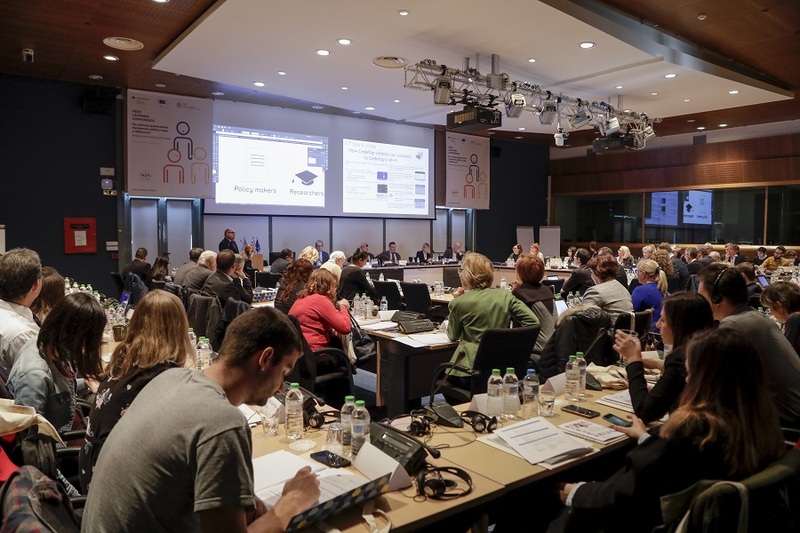 The second day started with a presentation of Cedefop's new European handbook on learning outcomes, followed by a debate on the workshop key findings. The closing panel sought answers to three questions posed by Mr Zahilas: Why do we need NQFs and the EQF? Which are the basic ingredients for success? How can we evaluate impact? Participants agreed that NQFs can be a key tool for supporting lifelong learning and recognition of learning outside the formal system. Summing up the conference conclusions, Cedefop expert Jens Bjornavold listed the positives and the negatives. On the positive side: NQFs have an influence on cross-sectoral cooperation, have benefitted VET, have strengthened the learning outcomes approach and are a link to validation. As for the negatives: few NQFs reach individual citizens, in some cases learning outcomes are only implemented 'on paper', and the approach can't be taken for granted. Mr Bjornavold stressed the importance of carrying out a literature review to evaluate NQF impact. On the Commission side, Mr Nomden agreed that there is little research on the impact NQFs have and measuring it is challenging. He asserted that the EQF has been a successful tool. Qualifications frameworks are not the solution to everything, but, seen from the VET perspective, they do make a difference, concluded Ms Brugia. The conference was a European vocational skills week 2017 event.